Click on his name to send an e-mail. Dr. Wires offers preschool, child, adolescent, adult and geriatric psychological and neuropsychological testing; child, adolescent and adult psychotherapy; behavioral and cognitive treatment of anxiety and depressive disorders; and emotional and cognitive rehabilitation of central nervous system disorders. He provides cognitive rehabilitation for difficulties including working memory, attention/concentration, and executive skills, through the Cogmed program. He has a special interest in the use of cognitive testing for diagnosing learning problems and the early identification of dementia. He currently offers parenting training to prepare care-givers for challenging behavioral and emotional issues in children, adolescents, young adults, and other dependents. Dr. Wires performs Fitness for Duty evaluations for those struggling with vocational issues. Dr. Wires received his Ph.D. degree from the George Mason University. In the course of his graduate training he completed an externship in neuropsychology at the Walter Reed Army Medical Center, and a pre-doctoral internship program at a treatment center for severely emotionally disturbed children and adolescents ( RICA, Rockville, Maryland ). Subsequently, he has held positions as a neuropsychologist at the Shenandoah Learning Services Rehabilitation Center, as a clinical supervisor at the Head Injury Services Project (currently Brain Injury Services), and as a member of the allied staff of Dominion Psychiatric Hospital. As an adjunct faculty member at the George Mason University, Dr. Wires has taught courses in physiological and clinical psychology. He offers lectures to various groups on topics such as learning disabilities, Attention Deficit Disorder, dementia, and traumatic brain injury. Professional societies of which Dr. Wires is a member include the National Academy of Neuropsychology, International Neuropsychological Society, National Register of Health Care Providers in Psychology, and the American Psychological Association Division 40. Click on her name to send an e-mail. 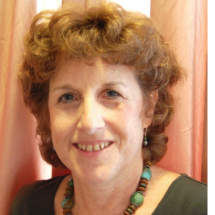 Dr. Horowitz is a full-time clinical psychologist at CFCG. She has been practicing psychotherapy for over 13 years in a range of clinical settings with children, adolescents, and adults. She practices from an eclectic perspective, employing a range of techniques as appropriate to individuals including cognitive behavioral therapy, psychodynamic, and object relations principles, as well as mindfulness based treatment approaches. Special interests include anxiety, depression, autistic spectrum disorders and social skills deficits, learning and emotional issues affecting academic performance, divorce, and family conflict. Treatment modalities include individual, family, couples, and group treatment. 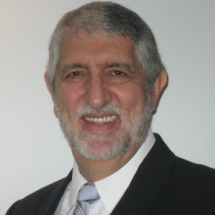 Dr. Horowitz holds a postdoctoral certificate in neuropsychology through Fielding Graduate University. She conducts psychological and neurospsychological assessments of individuals from age five through adulthood. Collateral support in special education proceedings and school consultations is available. Dr. Horowitz has a particular interest in autistic spectrum disorders and neurodevelopmental deficits affecting children. A consultation appointment is recommended if you have questions or concerns about the appropriateness of psychological testing. Dr. Horowitz received her Ph.D. in Clinical Psychology from Catholic University of America, with a specialization in child and family therapy. She has conducted research and published in the area of child sexual abuse. Dr. Horowitz has worked in a private, special education school providing direct services to learning disabled students and support to academic staff and has worked at a social service agency conducting assessments and providing follow-up support and referrals. Prior to studying psychology, Dr. Horowitz obtained her law degree and practiced family law with a focus on child abuse and neglect, adoption, and special education law. Dr. Horowitz is licensed as a psychologist in Virginia, Maryland, the District of Columbia, and New York. Available Monday through Wednesday, day and evening appointments.